J. Michael Butler Tax Services has been in business in Southeastern Massachusetts since 1982. We pride ourselves in providing personalized, quality services at reasonable prices. We service individuals, families and small businesses and personalize our services to meet our client's needs. We specialize in IRS representation and professional tax return preparation for individuals and small businesses. Owner, J. Michael Butler, MSA. EA is federally licensed enrolled agent who understands today's complex tax environment. Let him be your professional guide to help you achieve fiscal peace of mind. Mike believes that it is important to understand the needs of his tax clients and that they be treated professionally, fairly and ethically. Mike is authorized to represent you before the Internal Revenue Service and can assist you with any tax related problems. Preparing taxes can be a stressful experience. Let our tax specialists relieve you of the stress and anxiety of trying to keep up with constantly changing tax laws and financial opportunities. We work for you to make certain that you receive all the tax breaks that you deserve. Our computerized office and internet access ensures clients accurate, efficient, state-of-the-art service at competitive prices. You can rely on us for professional, timely and reliable tax preparation and competent IRS representation services. Our commitment to personal, professional service keeps our clients coming back. On our website, we've provided you with information about J. Michael Butler Tax Services, including our list of services. We have also provided you with online resources to assist in the tax process and financial decision-making. These tools include links to downloadable tax forms and publications, financial calculators, news and other useful information. 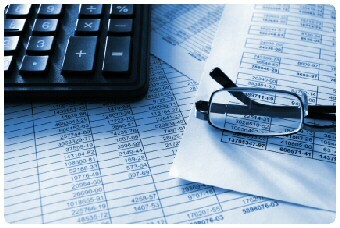 Our firm has years of valuable experience assisting people with their tax preparation needs. Please give us a call to let us know how we can help you!